You are at:Home»Things to Do»Upcoming Hot Events: Spring Camp, Factory Visit, Family Easter, and More! All ages. 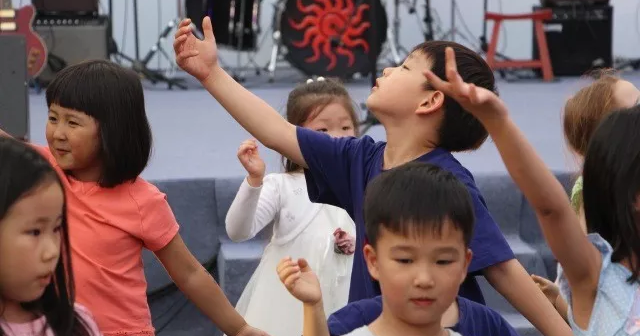 Come join the International Montessori School of Beijing (MSB) for their Open House – prospective parents will be given a brief introduction of their English Only and Dual Language Programmes, the MSB curriculum, and Montessori Philosophy. This will be followed by a tour of the facilities to see the how a Montessori classroom is structured. Free. 9-11am (first session), 1pm-3pm (second session). Interested parents are requested to RSVP to admissions@msb.edu.cn. The International Montessori School of Beijing. All ages. Join Yew Chung International School of Beijing’s (YCIS’s) Open Day to learn more about the learning taking place every day in their ECE, Primary and Secondary Learning Communities.The event will feature a panel discussion made up of both expert educators and students who will introduce their experiences as a part of the Years 6-8 Learning Community. Free. 9-11am. Check the website for registration. Contact 8585 1825 or info@bj.ycef.com for more information. Yew Chung International School of Beijing. Aged 4-12. Encourage your child’s math, science and design skills in this English-language camp. 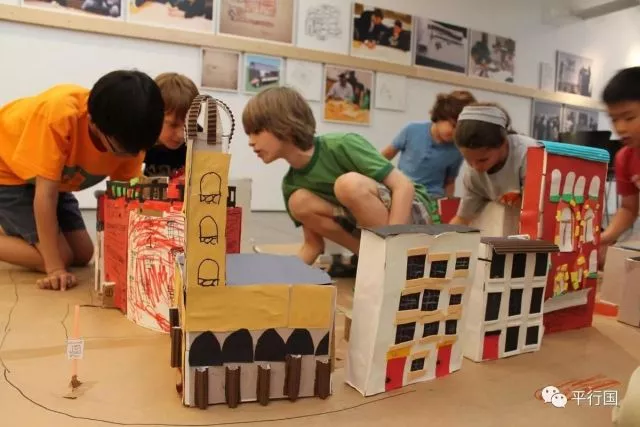 Architect and artist Jovanka Djorovic is an experienced art teacher and will help kids develop their skills through fun activities like city planning, the tallest tower competition and much more. Kids will each create their own portfolio to showcase their hard work. RMB 4,880 for 12-week courses. 10am-2pm. Check the website for more information or to register. Pingo Space. Ages 3+. Two crafty robbers, one tiny ladybird, and a whole farmyard of fun! 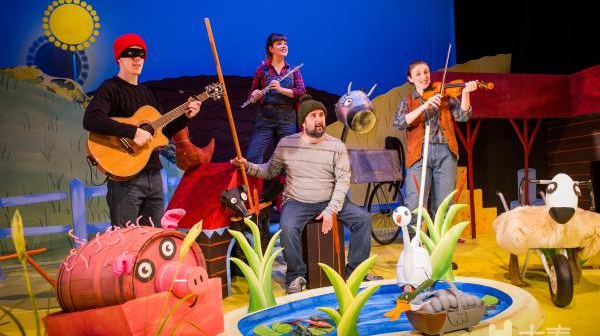 Join the woolly sheep, the hairy hog, the fat red hen and the dainty dog in this brand new stage adaptation of Julia Donaldson and Lydia Monks’ colorful farmyard adventure. With live music, puppetry, plenty of audience participation and lots of laughs! RMB 150-380. 10.30am-9.30pm. Check the website for tickets. Da Yin Theatre. All ages. 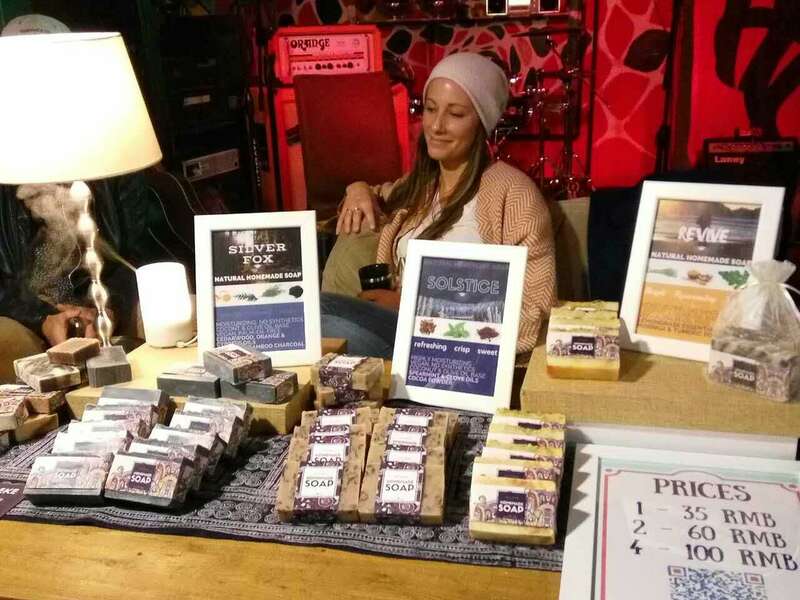 Ivy’s Charity Bazaar will bring together vendors selling eco-friendly goods, children-made handicrafts, holiday beverages and seasonal snacks. Other fun activities including an auction will be held, while all profits go to the school’s chosen charities.Free. 9am-noon. Contact 8446 7921 / 8446 7287 or support-OE@ivyschools.com for registration. Ivy Bilingual Kindergarten Ocean Express Campus. Adults. If you’re a crafter, this is your opportunity to debut your new handmade concept. If you have a box of second-hand clothes that you’ve been meaning to donate, this is your opportunity to sell them for a bit of drinking money, and refresh your wardrobe while you’re at it! If you are a small business, an artist, a volunteer, or just have a pile of books to drop off at their Booksellers stall, you are welcome and encouraged to join. Free to attend. Noon-6pm. Email at rumble.jumble.bj@gmail.com with your name, company name (if you have one), products, price range, and WeChat ID, and a couple of pictures of your products to register. Modernista. Adults. An exciting and glamorous evening of horse races, high heels, and fabulous hats. Whether you bet on the favorite or the long shot, find yourself in the Winner’s Circle at AmCham China’s Jockey Club! There will also be an exclusive race to the photo finish at the Champions After Party! RMB 1,450. 5.30-9.30pm. Check the website for more information or to buy tickets. China World Hotel. Adults. The 2018 女 Economy Summit is a full-day leadership conference that brings together women entrepreneurs, corporate leaders, business experts, media, investors and government leaders to foster women’s empowerment in the workplace. RMB 1,600. 9.30am-6.30pm. Check the website for more information. All ages. More than just a market, BlackEXPO is a fun and interactive cultural experience placing the spotlight on the community and businesses, services, and talents therein. BlackEXPO is open to the entire Beijing community and it is a unique opportunity to further shape the black narrative here in China and in the world at large. Other than supporting the community, it is a chance to discover your new favorite artists, creatives, find that next head-turning outfit or accessory, taste the flavors of the world and simply make new friends with people from all over the world. Free. Noon-6pm. Check the website to register. All ages. Huang Hong Xiang earned a degree in sustainable development from Columbia University in New York. Now, he’s founded a group called China House, which helps bridge the cultural and business gaps between China and Africa. He was also a role player in an expose film about the ivory trade in Africa. A recent project saw the creation of a tech challenge in Kenya, and he continues to pursue the development of relations between China and the African continent in many ways. Free. Contact 5986 5588 or wabinfo@wab.edu for more information. Western Academy of Beijing. Aged 4-6.This program is adapted from MindUp curriculum developed by Hawn Foundation. It aims to improve children’s attention, behavior, and emotional regulation, and ability to empathize and be pro-social. This program brings positive changes to a child’s academic skills and relationship with self and others around them. It also aims to create resilience and happiness. RMB 4,000 for 8-week courses. 9-10am. Contact 135 2234 1845 or mengshen.wang@lih-oliviasplace.com for registration and more information. LIH Olivia’s Place. All ages. Western Academy of Beijing’s (WAB) International Baccalaureate (IB) Diploma Programme art students will transform the High School campus into a stunning and colorful art gallery for one afternoon. Enjoy some refreshments, talk with the artists, and discover what some of Beijing’s youngest expat artists are accomplishing before they head off to some of the world’s top university arts programs. Free. Contact 5986 5588 or wabinfo@wab.edu for more information. Western Academy of Beijing. All ages. Chinese knotting is a traditional handicraft art that began in the Tang and Song Dynasties. Culturally they were believed to ward off evil spirits. Learn to make the auspicious knots from China Culture Centre (CCC) folk artists Ms. Wang, and work out your own knots, and hang them up on your neck or your handbag. RMB 200. 2-4pm. Contact info@chinaculturecenter.org for more information. Jane Eyre will be presented by Chapterhouse Theatre at Rulun Lecture Hall of Renmin University. Art Director: Richard Main; Director: Rebecca Gadsby; Associate Playwriter: Laura Turner. RMB 60-280. 7-9pm. Check the website for tickets. Renmin University. All ages. CCC brings you to a Beijing Enamel Factory to see workshops of cloisonné. The enamelware is highly valued at home and abroad for its brilliant color and splendid designs. The factory is the oldest and largest one in Beijing. RMB 200. 9.30am-6.30pm. Contact info@chinaculturecenter.org for more information. All ages. 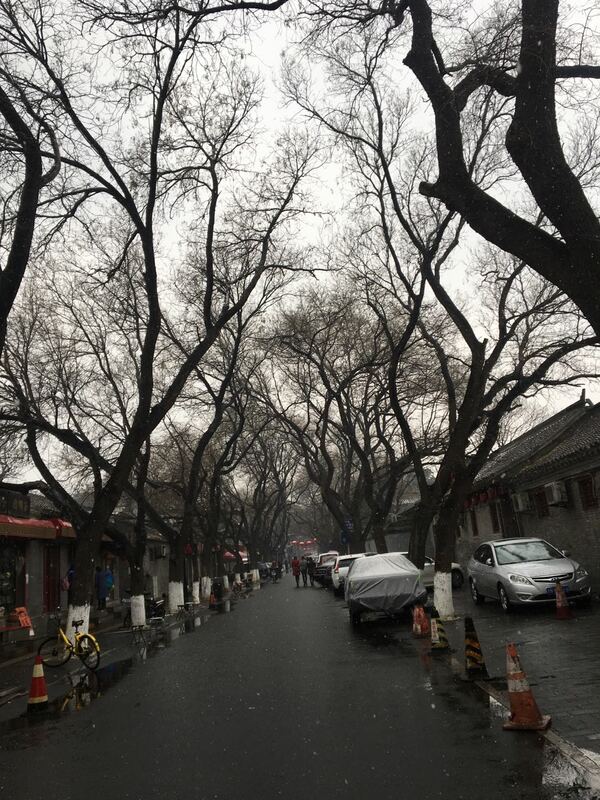 Find out why the Mongolians built Beijing’s first hutongs, see for yourself what traditional Beijingers get up to when they think nobody is looking, and discover how a warlord managed to return to Beijing in a coffin alive. All this plus table tennis with the locals, a rickshaw ride, water calligraphy, and much more besides. RMB 190 per person. 2-4pm. Contact info@newmantours.com or 138 1777 0229 for more information and booking. Newman Tours. All ages. 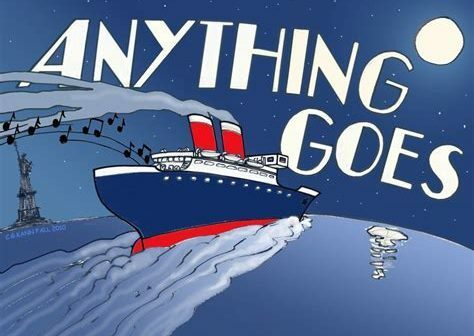 Anything Goes is a stylish musical comedy set aboard the ocean liner SS American. Come and join Dulwich as they transform the Wodehouse stage into a glamorous 1930’s liner, and see their talented cast of tap-dancing sailors, colorful characters and live onstage band all joining forces to help Billy in his quest to win Hope’s heart! RMB 30 (students), RMB 50 (adults). 7-8.30pm. Sign up here for March 22, sign up here for March 23. Dulwich College Beijing. All ages. Kerry Hotel has prepared a fun-filled day of Easter activities and games at both Adventure Zone and at their Terrace. Spend the morning outside with an Easter egg hunt, egg painting, face painting, family games and photos and lots of other Easter-themed activities for the family, before heading to Adventure Zone for more indoor fun. Check out the giant drop slides, interactive games, role-play village, ball pool, climbing challenges and more! RMB 388-688. 9am-5pm. Click here for more information or to purchase. Kerry Hotel. Aged 4-12. Flips & Kicks Plus focus on Goju Ryu Karate but do take influence from other martial arts. The instructor is fully licensed PE-teacher with over 20 years of teaching and coaching experience. Karate and Martial Arts is a great way to achieve focus, learn self-defense, self-awareness, and build strength/flexibility. RMB 2,340-2,700 for 18 classes. 2-4.25pm. Contact info@flipsandkicksplus.com 137 1846 2044 for more information and registration. Daystar Academy. Aged 7+. Lax for Kids is a youth development program to grow the game of Lacrosse in China. They train kids the fundamentals to play in a real lacrosse game environment. Coaches are bilingual, and the course will be taught mostly in English to help children improve their English speaking. RMB 4,500-13,000. 2-4pm. Check the website for registration. For ages 4-7. Their mission is to bring passion, fun, and creativity to every class, nurturing each students’ love of the art form through their practice, dedication, and creativity. This form of ballet training breaks through classical teaching methods and builds children’s passion for dance through a variety of games, sounds and musical styles. 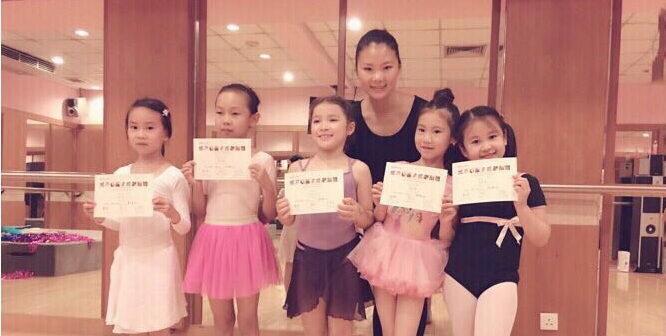 The aim is to develop strong coordination, focus, creativity, expressiveness, and musical sense. RMB 160-220 per class. 4.30-5.20pm. Contact 139 1158 8951 or WeChat Elyn0318 for more information and signing up. Prima Ballerina.